Follow us in social media and share the news about the Congress to your accounts. Use the #SIOP2018 hashtag when posting on Twitter. Contact us should you need a different version. 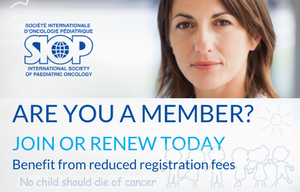 The 50th Annual Congress of the International Society of Paediatric Oncology will take place November 16-19, 2018 in Kyoto, Japan. Experience 4 outstanding days of cutting-edge science, engaging debates and networking with world renowned experts. Join the Community striving towards a world free of childhood cancer! To stay updated on SIOP 2018 news, click here or visit the website at kenes.com/siop.